In 2018, NBC Sports released a series of advertisements and social media campaigns that marked the PyeongChang Winter Olympics as the most watched Winter Games on record. With 20 million primetime viewers nightly, NBC Sports tried a different approach to gauge viewership, asking viewers to participate in conversations about the games and the athletes as they happened live. They would then alter their content based on social buzz. In a world driven by social media interaction and engagement, this approach is very different from past advertisements as they didn’t tell people to watch the games, but rather, urged them to engage in conversation. Adapting a social media strategy to be a bit more scientific, can greatly impact the marketing ROI for advertising. Through their Olympic analysis and social listening tools, NBC Sports was able to see an uptick in popularity across social platforms every time an ad was released. They were able to see real-time the impact of their marketing efforts and which ad resonated most with consumers. This brought several things to light. Not so long ago, one single ad could be repurposed and reformatted across different platforms. What NBC Sports realized through their analysis, however, was that different platforms attract different audiences and one piece of content may not work on every platform or for every audience member. For instance, they recognized that Instagram caters to a younger audience compared to Facebook that tends to be a bit older following. Thus in an attempt to adapt content to audiences, they “use [Facebook] to post more in-depth stories about what’s trending in sports.” says Ryan Irwin, NBC Sports manager of social consumer engagement. In essence, an organization's content strategy needs to evolve into a more data-driven approach. In other words, if something was highly-talked about, NBC Sports would likely sprinkle more of it into the content they shared. If something did do well, they leaned away from it. Businesses are able to be more proactive in their content choices and more importantly, adapt their marketing strategy to appeal to the right person at the right time. 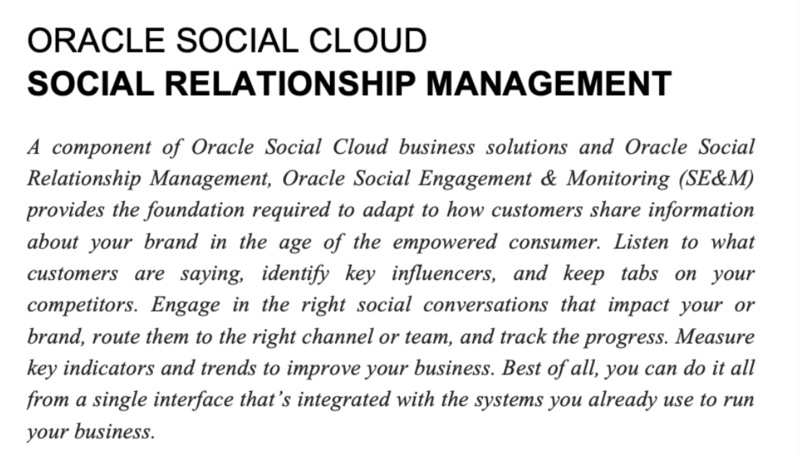 There are many tools on the market today that allow businesses to track, analyze, and engage across social media platforms. 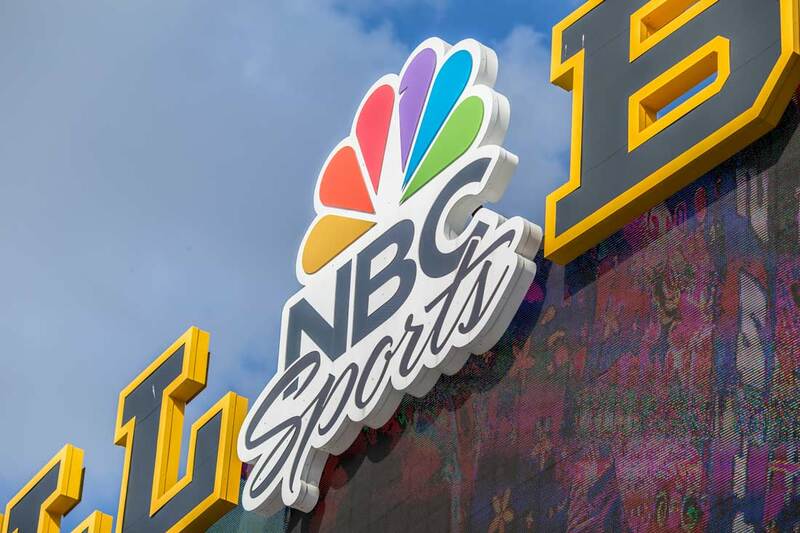 Aside from using data to drive decisions, NBC Sports holistic marketing approach has evolved as they began to tap into the emotional drive and decisions of consumers. Instead of pushing news, NBC Sports wants to know how consumers feel about the news. When an ad or news is released, they want consumers to engage in healthy social debates via their social platforms. How Can You Leverage NBC Sports Successes in Your Business? When I think of social media content, I think of a match (content) in a giant windy forest (social media platforms). If you light that match at just the right time, on the right tree, you could ultimately set the forest ablaze. Brands of all sizes should be looking at data to improve their content and experience for all audiences across all social platforms. We live in a consumer-empowered world. Businesses need to leverage data to track chatter, ROI, trends, competitors and what content resonates with what audience in order to deliver what people truly want. Regardless of the tool you leverage, if you are not analyzing data, you are making serious assumptions on what is working versus what isn’t in your social media strategy. Wouldn’t you rather improve your odds of setting that hypothetical forest on the fire?